YOU WOULD LIKE TO FIND WITH OUR ASSISTANCE SUITABLE LOGISTICS PROPERTY? CONTACT US FOR A NO-OBLIGATION ENQUIRY. 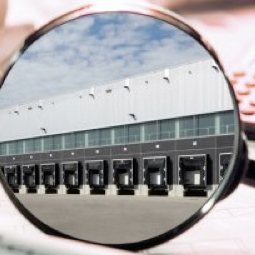 We know the industry-specific requirements for logistics real estate. Our search is targeted, based on the companies’ specific needs and demands. 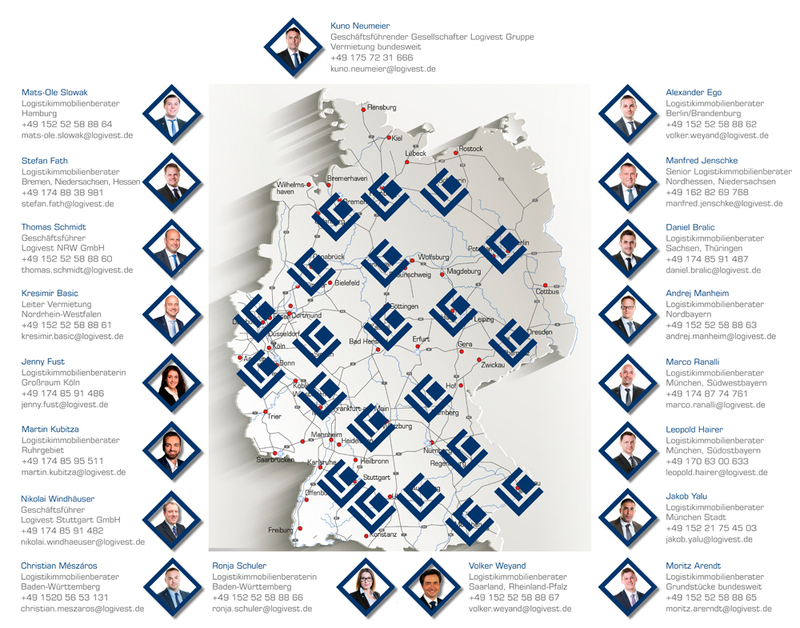 We enjoy excellent contacts to occupiers and businesses throughout Germany. This enables us to act as intermediary. We know exactly what key features make a property ideally suited for our customer and are thus able to offer matching objects. We know the best places for business and which locations fit the portfolio. We are intimately familiar with the German logistics real estate market, including 330 million sqm in warehouse and logistics space, some 17,000 logistics properties, 33 freight villages, 23 prime logistics sites, and 100 top logistics firms. We apply our marketing expertise to assist property and land owners market their assets on a national and international level, in the best possible way. We provide our clients with comprehensive decision-making support for new developments. Together with the client we assess and optimize all logistics processes for increased efficiency. We help you to find the perfect investor for any product and the perfect product for any investor. We are your efficient and committed M&A partner for company acquisitions and sales in the industrial and logistics sectors. Creating a distinct image for your logistics site and increasing its value. The market sees enormous demand for logistics property from institutional investors like insurances or pension funds – an increasing trend. Investors are in particular attracted by the relatively high return. However, investments also bear high risks. Analyzing and narrowing these risks down reaches far beyond what standard property valuations offer.